This style is ideal for shoulder length hair or people with fine hair who just want to add some body to their top knot. If you’re interested in obtaining custom extensions, do a google search to find salons in your area who can create some for you. If you are in the Denver area, come by Bast Studio in Cherry Creek for a consultation. As you can see, I don’t have much hair to work with, and I want a really big bun. Take your comb and backcomb whatever hair is sticking out. Rough it up and give it some texture. This gives it grip, which will make more sense later. Take your first track, making sure the clips are popped out, and the teeth are going toward the center of the ponytail, and starting at the base, slide the clips in and pop them into place. Work your way around the ponytail. If they don’t pop, secure with a bobby pin. It doesn’t have to be perfect, just get them as close to the base as possible. You’re going to look really weird at this stage, which is ok, it’s all part of the process. The more hair you add, the bigger the bun, so place as many tracks as you desire. Tease your hair again to give it more volume. 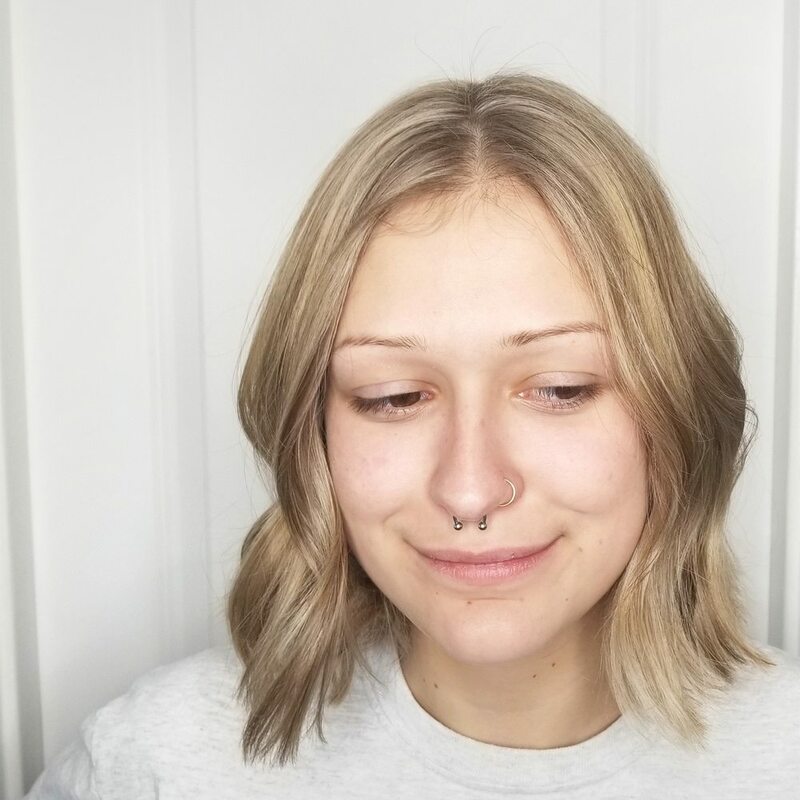 At this point you can tease your extensions for a fuller look, it just depends on the quality of your extensions and how much damage they can handle. If you tease them too many times, the hair is going to have a hard time coming back from that because they can be damaged just like the hair on your head. Since it’s cut off from a scalp, the hair cannot regenerate or repair itself. Whatever damage you do to the extensions is permanent. You can, however, condition your extensions occasionally so as to keep them in decent shape, just make sure not to over treat them. Meaning, don’t leave the conditioner on for too long, because doing so can cause the hair to become brittle. I’m not going to tease these because I want them to stay in good shape. I have a different set of tracks that I use just for teasing whenever I want a fluffy bun.